POYNETTE – Douglas A. Gladem, 74, passed away peacefully at his home in Poynette on Thursday, June 7, 2018. Doug was born on April 1, 1944, in Wisconsin, the son of Kenneth and Doris (Mickelson) Gladem. He proudly served his country in the U.S. Army. Doug worked for over 30 years for Terra Engineering and Construction. 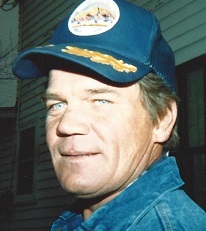 He was a 50-year member of the Wisconsin Laborers Union Local 464. Doug enjoyed work, gardening and helping others. He was an avid deer hunter and fisherman. He enjoyed going to Ho Chunk and his “scratchies”. Dad was a selfless, caring, simple man. You will never meet a person that had a bad word to say about him. He is survived by his children, Steven (Nicole) Gladem, Timothy (Deborah) Gladem, Michael (Faith) Gladem, Jonie (Matt) Statz, Danette (John Swadley) Gladem; grandchildren, Leah Statz, Cole Statz, Autumn Kaminski, Ashelyn Rodriguez, Alx Rodriguez, Luke Gladem, Grace Gladem, Maggie Gladem, Mitchell Gladem, Mason Gladem, Tia Gladem, Jada Gladem; siblings, Linda Gladem, Patti (Greg) Parker, Betty (Jack) Deckerd, Larry (Jean) Gladem, Bonnie Jacoby, Connie (Jerry) Minter, Robert (Rita) Gladem, Linda (Randy) Klock, Ricky (Colleen) Gladem, Raymond (Angie) Gladem, Cindy (Mike) Hall; extended family, Dan, Marty and Maurice Nodich, Sandy Kreger; other relatives and many dear friends. He was preceded in death by his parents; wife, Roberta “Bobbie”; sisters, Loretta White, Maryann Allen; brother, David Gladem; brothers-in-law, Lilburn White, Richard Jacoby; and his dog, Blackjack. 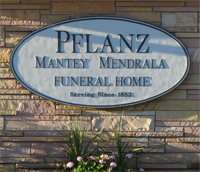 Funeral services will be held on Tuesday, June 12, 2018, at 1:00 p.m. at Pflanz Mantey Mendrala Funeral Home in Poynette with his son, Michael Gladem, officiating. Burial will follow at Hillside Cemetery. Military honors will be provided by the Poynette Area Veterans Honor Guard. Visitation will be at the funeral home on Monday, June 11, 2018, from 4:30 p.m. until 7:30 p.m. and on Tuesday, June 12, 2018, from 12:00 noon until the time of service.